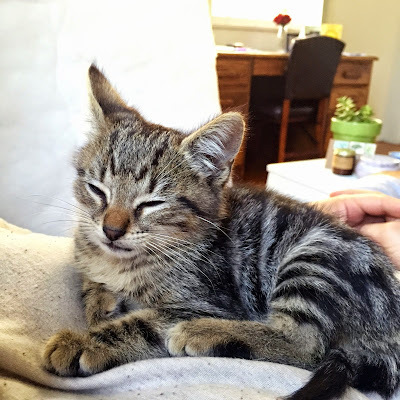 paper pastries: A New Kitten! This is Gennady Jr. a six week old, 1.7 pound, ball of love. David (my bro in law) + Michelle (his live-in) adopted this adorable kitten this weekend. It's Michelle's birthday this week and GJ is her present. He is tiny! 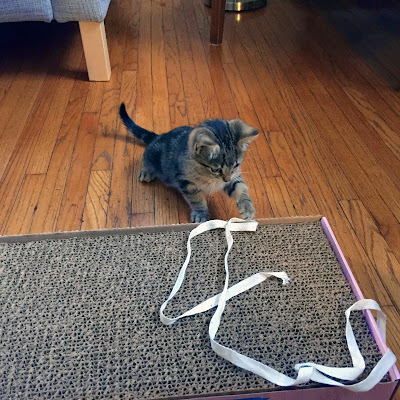 That is the double wide cat scratcher from Trader Joe's. He's really good at sleeping. And cuddling. He's the best!! Aww, congrats! He's SO cute!